Essay on “Role of Public Sector in The Indian Economy” Complete Essay for Class 10, Class 12 and Graduation and other classes. Home » 10th Class » Essay on “Role of Public Sector in The Indian Economy” Complete Essay for Class 10, Class 12 and Graduation and other classes. The modern concept of a welfare state throws heavy responsibility on the shoulders of the democratic government for boosting up nor only the trade within the country but also our export potential. India has been wedded to the policy of democratic socialism. So we have been discouraging, to a great extent private enterprise though it is not completely eliminated from Indian economy. Before the attainment of independence public sector was limited to Railways, Post and Telegraph, Ordnance and Aircraft factories, etc. After independence, as a matter of policy public sector is given greater importance. Industrial policy resolution states “the State will progressively assume predominant and direct responsibility for setting up new industrial undertakings…..”. The need for the public sector arose because of various reasons immediately after independence. One of the most important reason is to ensure rapid growth of the economy. It is only through the public enterprises that economic uplift of the country is possible. In fact economically India had been a backward country and in this world of fast development it is not possible to waste a lot of time in becoming economically strong. Consequently, the pace of economic development was to be increased if we were to compete with the more industrialized societies of the world. The target for increasing the national income of India can be achieved with the help of the public sector. Another reason for expanding the public sector is to remove the regional disparities. As the public sectors are to be set up in the different regions of the country that will help the growth of economy in all the regions. For the performance of economic development public sector can also provide funds. The profit of the Government enterprises can be again invested either in development plans or in some other domains. For example HMT has been able to set up so many industries by reinvesting its profits. As has already been pointed out the most important reason of encouraging the establishment of public sectors is to conform to the professed socialistic pattern of the society. This pattern of society has been kept as one of the objectives in the Directive Principles of State Policy. So the Five Year Plans have taken up this as the major objective of planning. Moreover, in the public sectors the expansion lies in the pattern of resource allocation. In the First Plan agriculture was given greater importance whereas in the Second Plan industries were given more prominence. As a result of it, it was necessary that public sector will definitely increase and utilize the resource allocation in a proper manner. Organisationally there are four types of public sector enterprises, that is those which are departmentally managed, those which are managed by independent boards, and those which are organized as public enterprises and lastly those which run as banks. In India the non-departmental industrial and commercial enterprises were divided into: (1) under construction; (2) running concerns; () promotional and developmental concerns; and (4) financial institutions. All of them play an important role in the development of our economy. We find that the share of the Government enterprises is steadily increasing though, as compared to the private sector, it is still low. In some important sector like agriculture, State enterprise has no role to play but the Government is taking industries of national importance under its ownership. The banks have been nationalized and the General Insurance companies have also been brought under social control. Public sector has an important role to play in capital formation. It also helps in the flow of goods and services in the economy. The increase in the production of the goods is going to have salutary effect upon our economy. Apart from it public sector has also been able to create an infrastructure like transportation, communications, and power development. The production of these types of capital goods involves heavy investment and gives low yield. These types of enterprises can be taken up only by the public sector thereby making the industrial base quite strong. During the three plans, it was quite clear to the Government that the private sector is suffering from certain handicaps and quicker industrial development was not possible. For making the Indian economy self-generating, the development of industries was to be diversified. The Government had to enter this field in order to prepare a proper type of industrial base and the public sector played an important role in this respect. Another important contribution of the public sector is the export promotion. The State Trading Corporation, and the Minerals and Metals Trading Corporation have been able to promote exports specially in the East European Countries. Similarly Indian handicrafts, and light engineering goods have become popular in many countries. In other words, it would never have been possible had the industries been in the hands of the private sector. Lastly public sector has also made important substitutions possible. Hindustan Antibiotics Limited and the Indian Drugs and Pharmaceuticals Limited have started producing drugs which were previously monopolized by the foreign concerns. Similarly, ONGC and Indian Oil Corporation have tried to make India self-reliant in oil production. It will not be incorrect if we are to say that it is because of the failure of the public enterprises that imports have been on the increase. In the case of the public sector even the pricing policy can be favourable to the people in general. In the Private Sector the prices are determined by investment and expenditure but in public sector some of the goods may be sold at subsidised rates. Most of the Public Sector undertakings yielded profit. This enabled the Government to take policy decision against rendering any budgetary support to the working capital requirement of such units, which are to fend for themselves on a strictly commercial basis through the financial institutions. This will induce a measure of responsibility in the financial management. It has been pointed out by some of the economics like Dr. K.N. Raj that the performance of the public enterprises has not been very encouraging. He says that the financial structure of some of the public sector organizations in India is such as to make these public sectors losing concerns. In fact because of the lack of ethical values among the labourers and workers it has not been possible to raise the standard of the public sector upto the expectations. Nationalised industries generally degenerate because the workers have security of service and develop indifference towards their work. In other words public sector is inefficient but that is not an inherent defect of public enterprises. Private sector will never be able to rise upto the demands of the welfare states because the moment it becomes a losing concern the industry owners lose interest. So the future of the public sector in India cannot be under-estimated. If we are to become Democratic Socialist Republic we will have to give greater importance to public sector and we will have to give greater importance to public sector and we will have to rely upon public sector for a number of years to come, for the development of economy. Public Sector Undertakings are of recent origin but are deep-rooted and are today playing a vital role in our economy. With the increase in the volume of work and tendency for nationalization, need and necessity of public sector enterprises has considerably increased. It is felt that through the public sector undertakings, effective government control can be run and managed for the welfare of the community as a whole. There cannot be two opinions about the need for establishment of public sector enterprises in the developing countries like India. The private enterprises are always in search of profit and this motive leads them to fields where the returns are high and certain. In the developing countries, this tendency has many drawbacks. First, as more and more capital is injected into the same type of business, competition increases and with it costs go up. With increasing costs, prices also increase and markets are hit. Secondly, development in the underdeveloped countries is usually lop-sided and is restricted to certain fields of production. Consequently, people are seldom self-sufficient in respect of their needs and remain virtually slaves to outside or foreign trades. Before the introduction of planning in India, Indian businessmen put their money mainly in traditional business, like jute and cotton or iron and steel. Jute and cotton were preferred because of their greater demand in foreign markets and iron and steel because of great domestic potentialities. The Government can float an undertaking on the principle of minimum profits or on a no-profit no-loss basis. These activities fall beyond the purview of private business enterprises and hence government undertakings in industry are desirable or rather necessary in a developing country. In other words, the economy of such a country needs to be duly controlled and unless and until capital acquires free movement and diverse channels to cater to different needs and improve the standards of living, a free economy in a country would not work well. There are, however, many loopholes in the public enterprises. Since public undertakings have a tendency to be manned by civil servants, particularly drawn from Government departments, a sense of ease and irresponsibility arising out of inefficiency and lack of technical knowledge and experience, becomes associated with public undertakings. These factors cause wastage, not to speak of nepotism and corruption that usually creep up into the administration of a public undertaking. Consequently, the administrative efficiency falls to low levels. A private enterprise has to work efficiently in order to stand against the prevailing competition as well as to create and maintain goodwill. The business house has no room for a lazy bone. Every employee has to show his work and prove his worth daily to keep the job. It is not so in government organizations. There is no personal interest for a Manager to keep a vigilant watch over the workers and things being done in a leisurely manner. The top posts in these undertakings become the exclusive preserve of the children, friends and friends of friends of the political high-ups, who for obvious reasons treat these undertakings as their private estates. These difficulties should not, however, dishearten a government or people in setting up the public enterprises. Without the support of public enterprises, the development of basic industries is not possible. It is only the government which has the power to raise funds, the like of which can never be raised by a private businessman without upsetting the basic economic democracy or without causing undue concentration of wealth. The existence of public sector is also important for coordination in various economic activities and for creating a spirit of patriotism and loyalty among citizens, workers and managers with a view to raising general standards. In a mixed economy like that of India, public enterprises should be a part and parcel of the greater plans. For the more efficient working of public enterprises, the attitude of the Government towards public enterprises is very important. Much more important is the role of civil servants working in Public Sector Undertakings and controlling these undertakings in the Government departments. Here, unfortunately, we have rigid rules and regulations. For almost everything, the enterprises, though we call them autonomous, are required to obtain the approval of the Government. It is the duty of the bureaucrats to apply the rules and regulations. If they do not, audit authorities are there to take them to task. Therefore, bureaucracy is inherent in rules and regulations. But all these rules and regulations are applied indiscriminately to operation of an economic enterprise where almost every situation is different. In the case of public enterprises, the civil servants must be prepared to take the bold steps and support the enterprise in the case of difficulty. Thus the attitude of ministers and outlook of the civil servants in the secretariat towards public enterprises has got to be different from the one prevailing at present. If the attitude of management and the bureaucrats is reoriented, our public sector enterprises will not only become more efficient but will also become much more profitable. A human being wants a sense of fulfillment. He wants a sense of appreciation, a sense of involvement and a sense of pride. These are the things which he can get much more in a public enterprise. We have only to create a proper atmosphere for the better functioning of the public enterprises by generating the necessary psychological changes in the thinking of different personnel concerned. Essay on “Road Accidents” Complete Essay for Class 10, Class 12 and Graduation and other classes. Essay on “Child Labour” Complete Essay for Class 10, Class 12 and Graduation and other classes. Essay on “Export or Perish” Complete Essay for Class 10, Class 12 and Graduation and other classes. Essay on “Fifty Years of Indian Planning” Complete Essay for Class 10, Class 12 and Graduation and other classes. Essay on “Drug Addiction ” Complete Essay for Class 10, Class 12 and Graduation and other classes. Essay on “Political Emancipation of Women” Complete Essay for Class 10, Class 12 and Graduation and other classes. Essay on “Role of Religion” Complete Essay for Class 10, Class 12 and Graduation and other classes. Essay on “God Plays an Important role in man’s life” Complete Essay for Class 10, Class 12 and Graduation and other classes. 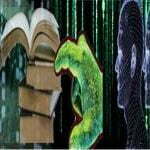 «Essay on “Can Technology Help Indian Villages?” Complete Essay for Class 10, Class 12 and Graduation and other classes.